Mole mapping is a technique whereby a person's moles (naevi) are catalogued or 'mapped'. The images created can then be used as part of a person's skin cancer surveillance program. Please note that the best way to assess whether moles need to be mapped, is a complete assessment of all your moles using dermoscopy. If all of your moles have a typical regular and benign pattern on dermoscopy then more detailed mapping may not be required. There are two main types of mole mapping; conventional photographic imaging and digital dermoscopic imaging. A series of standardised photographic images of body regions are taken to generate a complete map of the person's skin. It is recommended, for accuracy and standardisation, that the images are taken by qualified medical photographers. The images can be printed on photographic paper, or stored on a computer or a CD-ROM. Dermoscopic images allow a more detailed image of the mole to be recorded and stored. 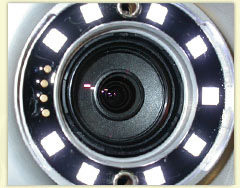 The digital devices standardise images for magnification and illumination and can record accurately the location of the moles. What type of 'mole mapping' is best? Both types have pros and cons and sometimes a combination of the two is recommended. How frequent should I check my moles? There is no consensus opinion about the recommended frequency for self surveillance of your moles. In general, for high risk individuals self surveillance should be undertaken at least 3-monthly or preferably monthly. There is no advantage to more frequent routine self surveillance. For people with few risk factors for melanoma a less frequent program of self surveillance could be adopted. Can the 'mole mapping' computer diagnose melanoma? Most digital dermoscopic systems have integrated computer software which can give a risk analysis of how suspicious a mole is. However, independent published research has repeatedly shown limitations in the diagnostic ability of these systems. Therefore these systems should only be used for cataloguing moles and should not be used for diagnosis. The interpretation of any changes seen should only be performed by your specialist.